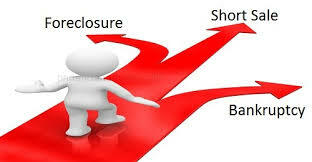 If you have had a foreclosure, bankruptcy, or short sale, you can buy a home. You no longer have to wait 7 years to purchase again. * 3 years from date foreclosure completed and transferred back to the bank. The date the Deed is transferred out of the borrower's name is the date that will be used for seasoning. * Less than 3 years but not less than 12 months from date of foreclosure completion and transferred back to bank if the result of acceptable extenuating circumstances. Extenuating circumstances are defined as death in family, medical illness and not divorce or loss of job. * 3 years from date sale closed and transferred to the new owner. * No waiting period if borrower had no late payments on any mortgages and consumer debts within the 12 month period preceding the short sale AND they are not taking advantage of declining market conditions. * 2 years from date of discharge with re-established credit paid as agreed or no new credit obligations incurred. * Less than 2 years but not less than 12 months from date of discharge may be acceptable if the bankruptcy was caused by acceptable extenuating circumstances and borrower has since exhibited a documented ability to manage financial affairs in a responsible manner. * 1 year payout period under bankruptcy has elapsed and the borrower’s payment performance has been satisfactory and all required payments made on time. Must have bankruptcy trustee's permission in writing to purchase. * 2 years from date of the foreclosure completion and transferred back to bank. * 12-23 months from date foreclosure completed and transferred back to bank if credit re-established and paid as agreed and was caused by acceptable extenuating circumstances. * VA does not establish a seasoning requirement for a short sale. * 2 years from date of discharge. * 12-23 months from date of discharge if credit re-established andpaid as agreed and was caused by acceptable extenuating circumstances. * 1 year payout period under bankruptcy has elapsed and the borrower’s payment performance has been satisfactory and all required payments made on time. Must have bankruptcy trustee's permission to purchase. * 7 years from date foreclosure competed and transferred back to bank if they had NO extenuating circumstances. * 3 years from date foreclosure completed and transferred back to bank with acceptable extenuating circumstances. Additional overlays may apply such as a 10 percent down payment and purchase of primary residence only. * 4 years from date sale closed and transferred to new owner or transferred back to bank. * 2 years from the date sale closed and transferred to back to bank with acceptable extenuating circumstances. * 4 years from discharge date. * 2 years from discharge date possible with acceptable extenuating circumstances. * 2 years from discharged date and 4 years from dismissal date. * 2 years from discharged date and 2 years from dismissal date with acceptable extenuating circumstances.